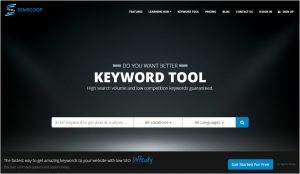 SEMScoop Keyword Tool will help you understand the use of website silo architecture and find LSI keywords that help you improve your marketing strategy. 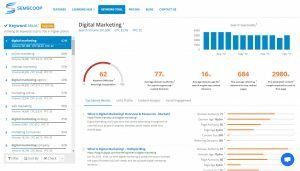 As you already know if you are expert in SEO and keyword research, these concepts are not new, and there are other tools and methods that help you get thematic keywords and “long tail” or LSI. I have used several ones before, I did not find them interesting enough to write about. However this case is totally different, and I think it’s worth to be mentioned and discussed. The operation of SEMScoop is very simple: you just have to enter a keyword and SEMScoop will show you all the topics, terms and keywords related to it. You already know that choosing the right keywords is very important to get a good ranking position in SERP. it’s not just about “adding the keywords with some text …”, it’s rather about building relevant content for these keywords, using the right concepts in the right context. As you may have noticed, Google’s algorithms are increasingly “smart” when it comes to “understanding” how relevant text can be on a given topic. For Google this is a necessity, because it is the only way to get to show the best possible results for each search.